Our rates depend on the project. We usually charge per page and our translation rates ultimately depend on the amount of words per page. We kindly invite you to email us your questions and book info—remember to include the total amount of words, pages and approximate amount of words per page—and we’ll get back to you with a fee as soon as possible. Why hire a professional translator? When it comes to translate your book into another language (especially a language you don’t speak), you need to make sure your book is in professional hands. As an author, you should think of a translation as an investment in a new market. An experienced translator will not only make your book available in a whole new market, but he/she will also respect your author’s voice, tone, narration pace, characters’ voices, setting, etc. Most importantly, he/she will make sure of the accuracy and quality of the translated material. Admittedly, at first sight, a professional translator might seem more expensive than simply hiring someone who speaks the language, but doing so could cause more pain than anything in the long term. A bad translation could scare potential readers away… would you ask someone who speaks English to proofread or edit your manuscript or would you hire someone experienced and well-qualified? My translated books don’t sell well in other markets. Why can this be? Just as in the English market, there are a lot of factors involved in the marketing strategy of a book. Leaving aside the translation quality already addressed in question 3, some of the reasons a book might not be selling are entirely related to marketing. Are you doing enough? Are you promoting your books through different channels? Are you using the right hashtags in the target language in your social media? Are you using the proper keywords in the target language? How do I know if I’m ready to invest in a translation? If you have a finished manuscript and you’re ready to put in the effort and work with us, we will handle the translation process and provide you with marketing tools to promote your book in the Spanish market. As we already stated, a translation is an investment you make in a new market, so you should not only consider the cost of the project, but also the ads that will help you spread the word about it and reach new readers. Will you help me promote my book in the Spanish market? How? Yes! 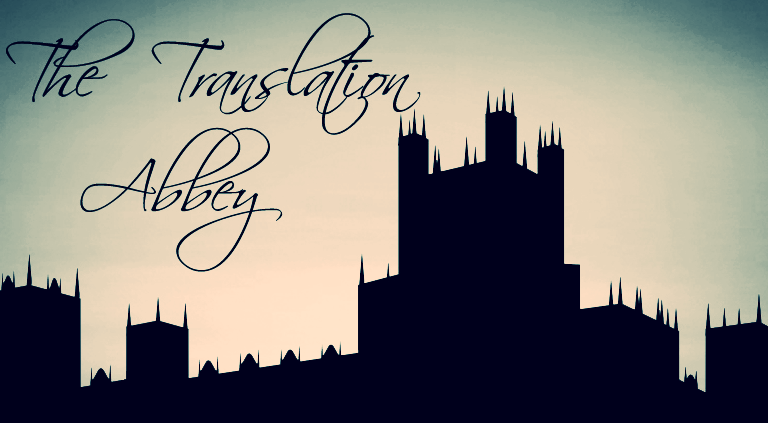 At The Translation Abbey, we are passionate about what we do and we intend to create long-term relationships with the authors that choose us. We will not only promote your book in our social medial, but you’ll also be able to reach us at any point during and after the translation and we’ll be happy to help you out by providing the right hashtags and keywords for your book. At the time being, we offer translation and proofreading services, both in English and Spanish. Do you have a book translated into Spanish and you’d like to assess its quality? Or perhaps you’re looking for a new pair of eyes to take a look at your book before hitting the “Publish” button? Visit our Proofreading page and learn more about our services and our fixed rates. What payment methods do you work with? Currently, we are only working with Paypal. How do I get in touch to know more?